I’d like to think I have good skin. It’s not great because my gawd, I have seen some poreless wonders walking around, but I really can't complain. My 37 years old skin has not been ravaged by time or the elements just yet. I can attribute some of that to my blackness (thank ya Jesus!) plus drinking water more often than not and eating an overall healthy diet that has changed to mostly plant based over the past few months. But also because I’ve done my best to take care of my skin as well as possible since I was a youngin’. 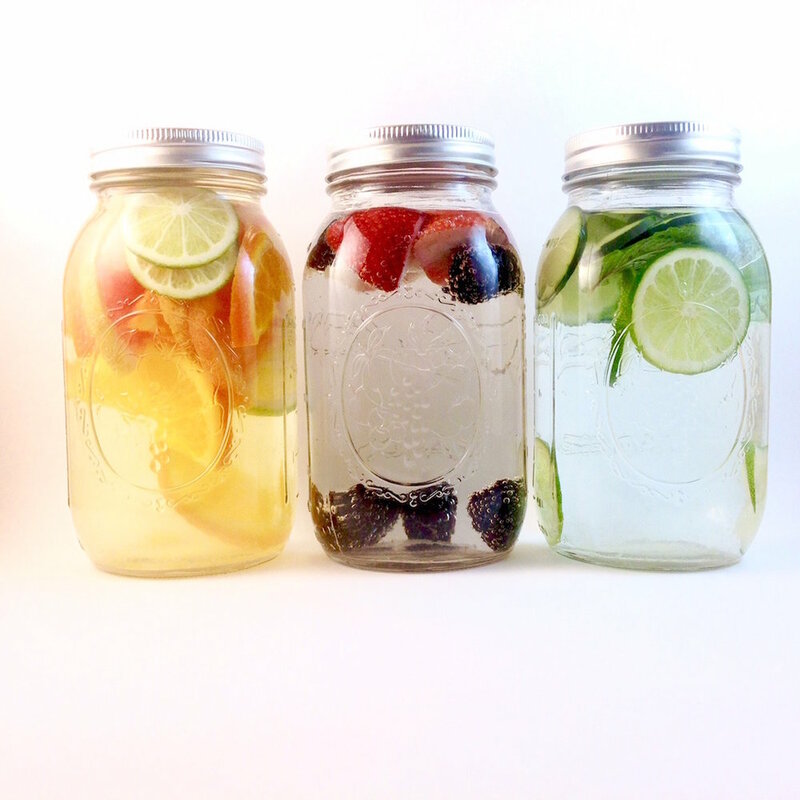 Infused waters are a fave. I didn't wear makeup at an early age. We all know makeup back then (early 90s) was absolute trash! We didn't have the amount of skin friendly brands or formulas that we have today that do more for the skin than just cover it up. But even with better makeup, it still doesn't negate the fact that for some people, once the makeup comes off, it is like a different person has stepped into the room. I remember experiencing that a few times in MIDDLE school. I'm actually glad my parents didn't let me wear makeup until high school. And even then all I cared about was wearing lipstick. But don't get me wrong, I actually love makeup, I just personally choose to not really wear it. It damn near requires a special occasion for me to put on any type of makeup. Sometimes I will put on lipstick randomly just because I feel like it. But I'll add in doing my brows, my eyes and some powdered foundation if I'm going out. That's it. There is no face beat over here. *kanye shrug* Otherwise it's a bare face all day everyday. My "going out" face. Like I said lips, brows, eyeshadow, liner and mascara. I know nothing about highlighter, contouring, strobing...etc. Nope! I've also limited the amount of products I use in my complete skincare routine. While I love the idea of the Korean skincare routine with its 10+ steps because it makes you like you're really, REALLY taking good care of your skin. Buuuuutttt ain't nobody got time for that! Listen, I have two kids, a husband and my own life I'm trying to rescue from the doldrums. I. NEED. SIMPLICITY. With the need of a simple skincare routine combined with the changing needs of my skin due to pregnancy as well my desire to eliminate a lot of unnecessary chemicals in my skincare products, I eventually sought alternative methods to caring for my skin as well as that of my family. But it didn't happen overnight. 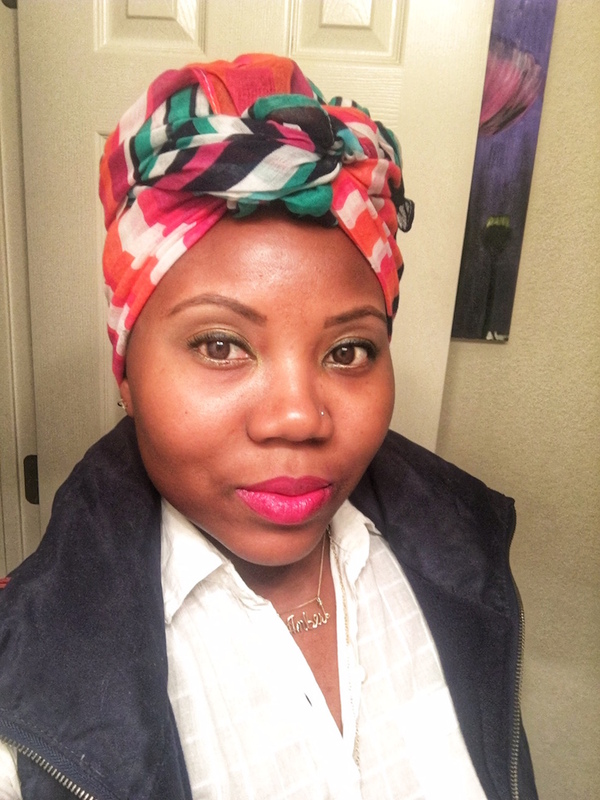 It all started when I began creating products for my hair when i first went natural in 2009. I dabbled here and there while also trying different store bought products to care for my new found kinks and coils. I didn’t take it seriously until I had little sir. The store bought moisturizers while plant based and organic did nothing for his delicate skin. The butter I had previously been creating had found a new purpose. While it still would be a staple in my hair care routine, ingredients would now be more carefully chosen based on their specific benefits to the skin. The quick whip is when I don't feel like putting in the time to make my staple butter. Different ingredients but will still get you right! My formula has evolved since that time into the product I, my family, friends and customers all enjoy today. But the body butter was just the start to my natural skincare regimen. Since then, I’ve phased out many store bought products except for a couple and have replaced them with my own creations. From sugar scrubs for me, bath bombs for the boy, lip balms and most of the products for my face plus a new special moisturizer for the she babe’s eczema, I've become a one stop shop for most of my family’s skincare needs. Below I detail my routine using products created by moi (with a couple of exceptions) for my specific skincare needs. I only cleanse once a day, usually at night unless I’ve been to the gym earlier then its twice. I use an oil cleanser made of castor, almond and grapeseed oils. An oil cleanser removes makeup plus all the dirt and grime you thought you were getting with your regular cleanser. I follow it up with a plant based bar cleanser from Marvi or gel cleanser from Derma-E. it just depends if I'm washing the oil off of my face at the sink or in the shower. My skin can only handle so much oil. I then spritz on a toner, that consists of witch hazel extract, lavender essential oil, aloe vera juice, calendula and lavender flower waters plus filtered water. This helps to add back in some moisture plus remove the last traces of cleanser I may have missed. At night I spritz it on without wiping it away and blend it in with an oil moisturizer. In the mornings, I use a cotton round to after spritzing to freshen up before applying my moisturizer. My oil moisturizer is probably one of my fave products. Besides the pretty golden color, the combo of jojoba, carrot seed, pomegranate, rosehip and kukui oils is light and leaves my skin feeling silky smooth. I'm not just saying that because I made it. The hubs has done a feel test and he's quite honest when it comes to anything I make. For exfoliation, I use a combination of a little rubber scrub brush and clay masks. As you age your skin doesn't renew cells at the same level as in your teens or 20s. It needs a little help. 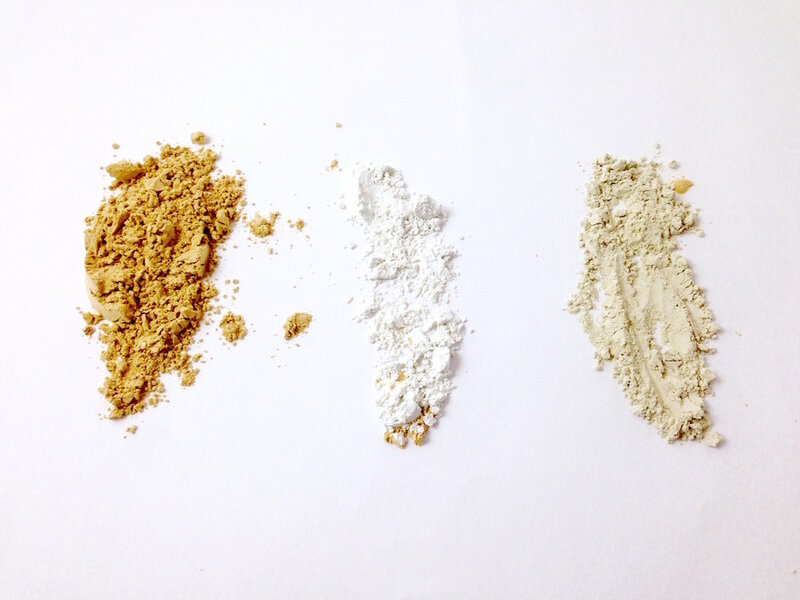 My basic formula for my mask stays pretty much the same (yellow, white and bentonite clays + witch hazel bark extract) while varying the added liquid from time to time. I usually mix it with either my toner or just plain filtered water. I only exfoliate 1-2 times a week although given the way my skin has been lately I might need to up it to three. That’s pretty much it. While I love making my own products, I'm not entirely against purchasing a product if my need is beyond something I know how or care to handle at a given time. Let's be honest sometimes finding a ready made solution to a problem is worth far more when you're already utilizing your time to the fullest for other things. Besides with so many green beauty options now readily available online and in store, finding something that works is much simpler than it once was. Buuuuuttt beauty is still beauty green or otherwise and in most cases it still doesn't come cheap. Which, once again why I prefer making my own. It allows me to make products multiple times (in sizes I choose I might add) by buying materials in bulk every few months. I'm no skin expert by any means but I have learned a thing or two over the years. Beyond what you’ve been gifted genetically, your skin is a reflection of how you live. I’ll admit being a parent takes its toll on you in so many ways (physically, mentally, financially, emotionally) but we still have to make it a priority to take care of ourselves. It doesn’t have to cost much nor does it need to take a lot of time. It simply needs to be done. So show your skin some love.